At the 2013 NASCC Conference — held April 17-19 in St. Louis, Missouri — a record number of structural engineers, detailers, erectors and fabricators saw the latest in SDS/2 and learned about the newest enhancements in the steel industry. 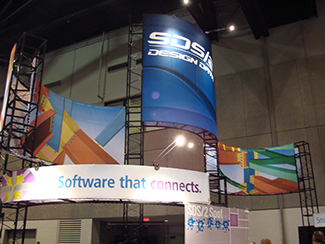 The array of SDS/2 software solutions, including SDS/2 Detailing, SDS/2 Engineering, SDS/2 Approval and SDS/2 Erector, were showcased in the Design Data booth. 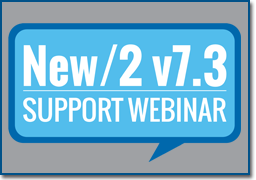 Popular in-booth demonstrations included status transfer to update model data, CNC scribing, bar coding, and SDS/2 Connect. Design Data partner Get the Point (GTP) also had a presence in the SDS/2 booth; GTP runs on the Sokkia robot to push coordinate info to the field via the SDS/2 model. Design Data's Doug Evans co-presented a session titled, "The True Benefit of BIM for the Structural Engineer and the Pivotal Role They Play in the BIM Process." Kevin Lea from CSC and Sean SSOE were also presenters at the session. 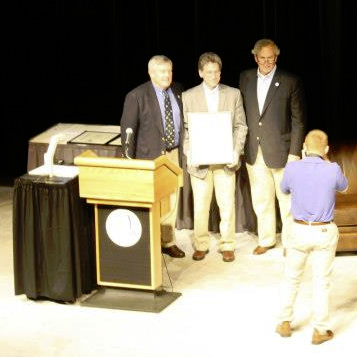 To view additional photos from the 2013 NASCC conference, click here. Be sure to join Design Data at the 2014 NASCC Conference, which will be held March 26-29 in Toronto, Ontario, Canada. 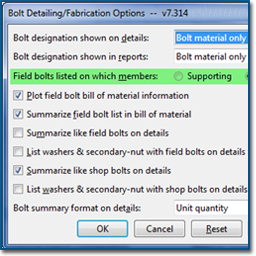 In Fabricator Options — Bolt Detailing/Fabrication Options, the option Field bolts listed on which members: will, in most situations, determine which member the field bolts are associated with. There are some scenarios in which this setup option does not control or handle the situation, however. Read more. Formerly known as Hexagon 2013, HxGN LIVE offers new and exciting ways to experience what's unfolding in the world of design, measurement and visualisation technologies. 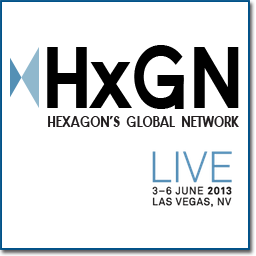 HxGN LIVE, featuring Intergraph®, Hexagon Metrology and Leica Geosystems, offers an exciting line-up filled with informative sessions, must-see technologies, exclusive keynotes and unlimited networking. The event runs June 3-6 in Las Vegas, Nevada, at the MGM Grand Hotel & Casino. Design Data will be exhibiting in booth #311.